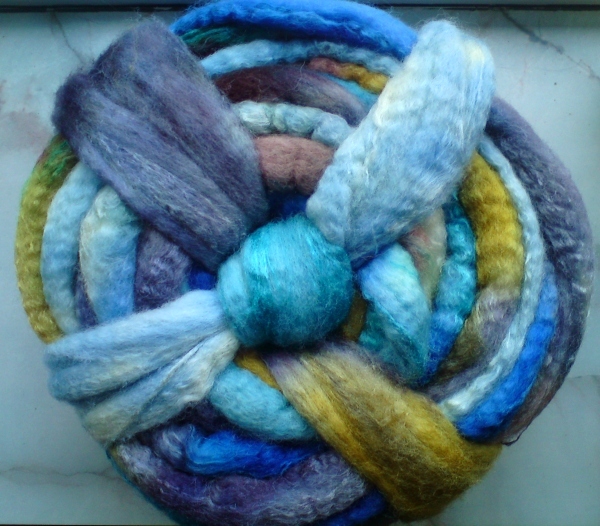 Here it is on a BFL/silk blend. 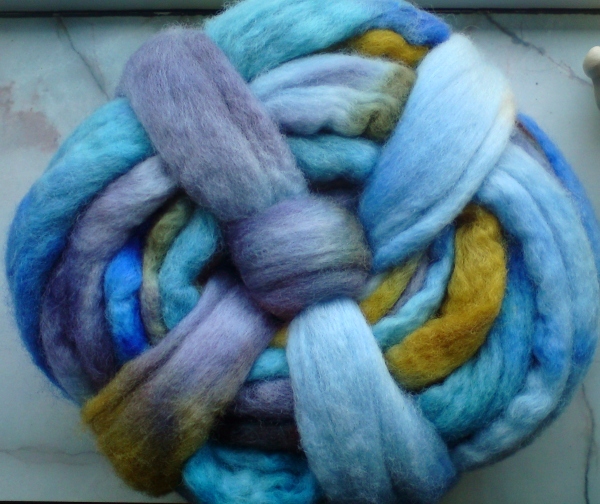 I call the colorway “Icarus”, after the small butterfly that inspired me to pick these various blue, lavender and golden shades. Polyommatus icarus. A beautiful butterfly that fortunately still is quite common where I live. I must say, I love it on both fibers, and hope the club-members like it just as much! These days I’m in the process of creating next months club-colorway. I will not reveal anything about it yet, just that the June colorway will be very different from the “Icarus” of May..
To find out more about my fiber-club, please visit my Etsy-shop. Bye for now, I have some knitting to attend to. Thank you ever so much, I’m so glad you like it! Of course you can use the Icarus-photo 🙂 Happy spinning. Hej birthe, det lyder godt nok spændende, skal jeg lige overveje om jeg ikke også vil være med i klubben. Tusind tak for den superhurtige levering og sikke fantastiske farver! Er det farver du kan producere igen?? Så må du gerne give mig et praj. God weekend. Jo, jeg kan lave samme farver igen, så hold øje med webshoppen eller send mig en bestilling!